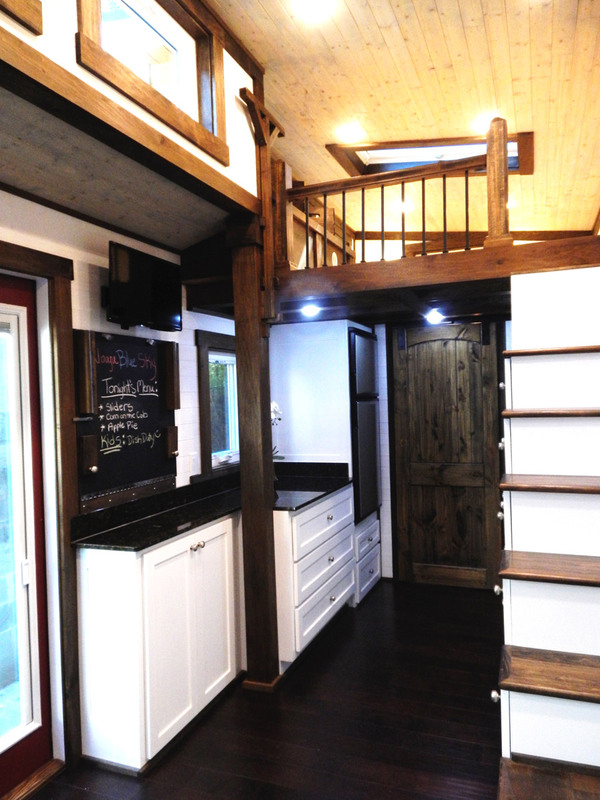 I really enjoy looking at these tiny houses and maybe will own one someday. 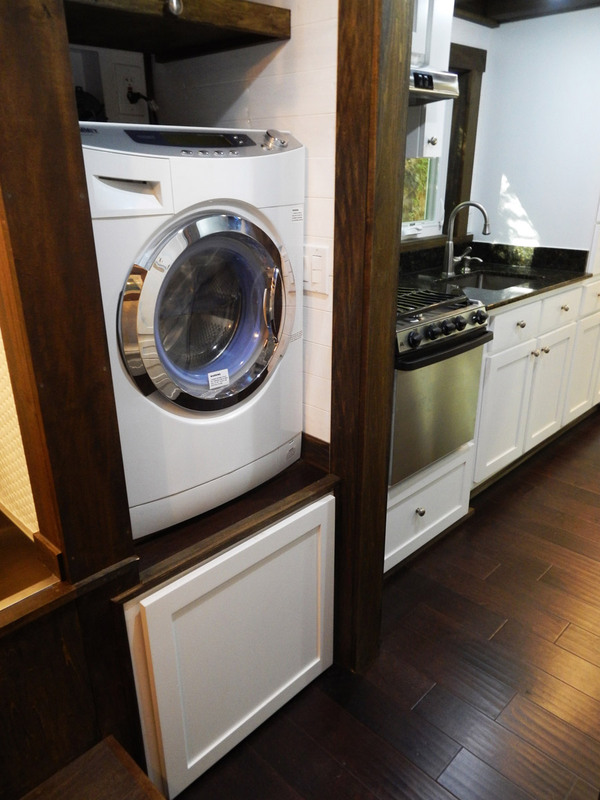 But, I notice that most of the designs have the washer/dryer combo elevated by a few inches to a few feet. Based on my experience of owning such a combo unit and using it weekly in my condo, this “elevation” is impractical. Annually, the unit has to be serviced. 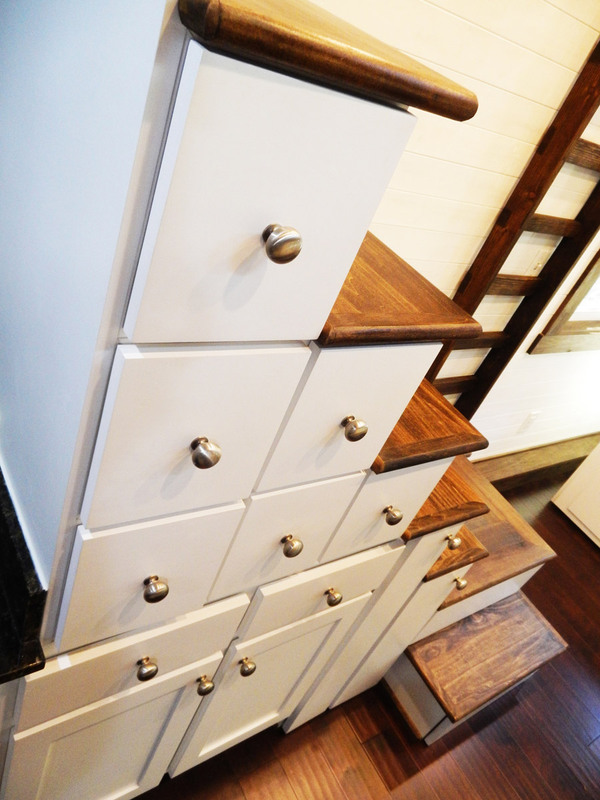 The unit needs to be moved out of its cubby so the top can be removed and lint build-up removed. If the lint isn’t removed at least annually, unit performance drops dramatically. Lifting the washer/dryer combo out of an elevated cubby is problematic. I would recommend designers/builders keep the washer/dryer at floor level for easier servicing. This is amazing! 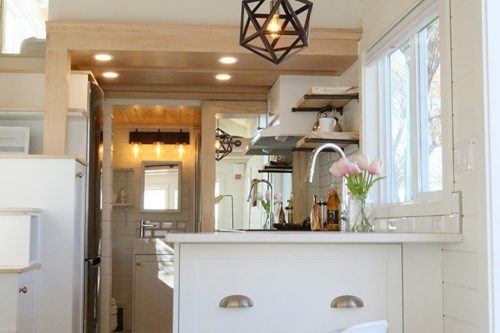 Your kitchen has more counter space and storage than my “traditional” 900 sq ft house. And the bathroom is bigger! I love all of the built ins. Not an inch of wasted space! This is by far the best design for a family I’ve seen on a small scale. How much does your design run? 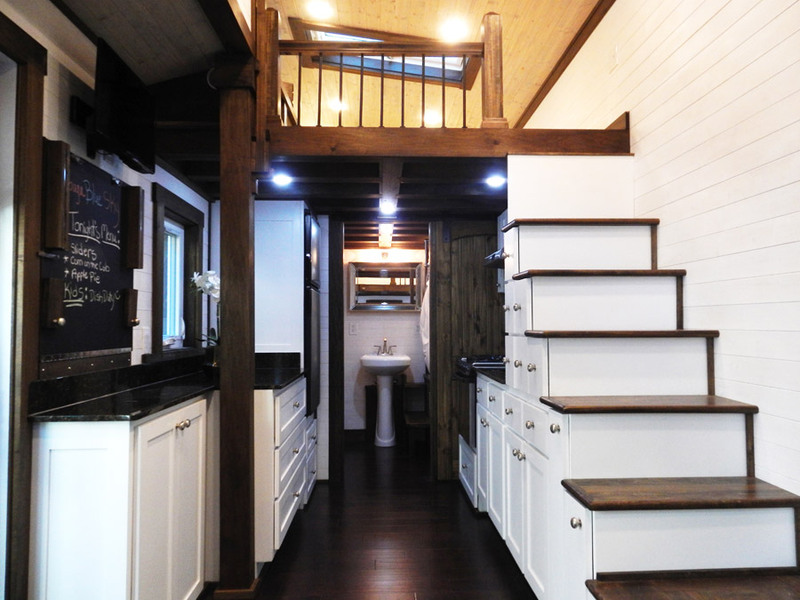 Very nice,My only question is why is the Tansu,at the lowest roof point? nicely designed and well constructed. I would like a hand rail for the steps. 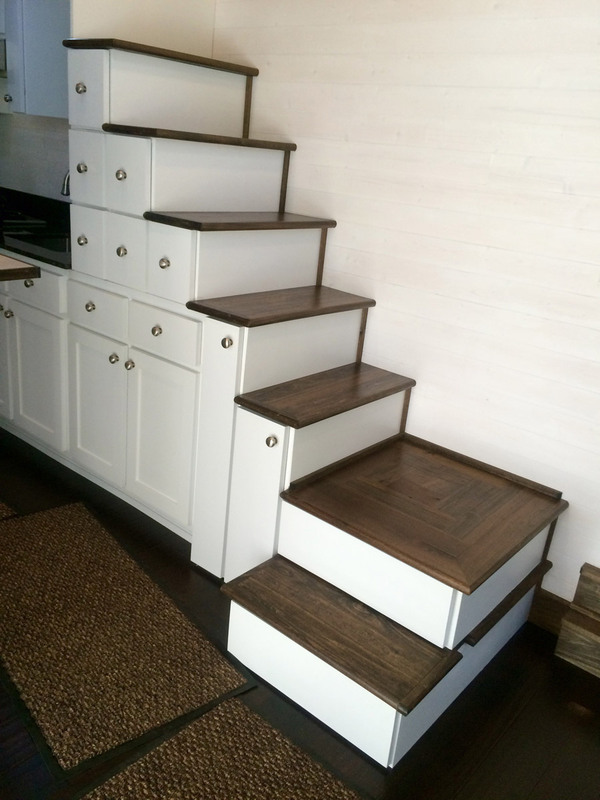 BTW, the steps look like they might actually be functional. Congratulations! With the modification of a way to hook up water, there could be a real flushing toilet instead of the stinky composting device, when on the grid. I wish this new company of entrepreneurs all the best in this venture. 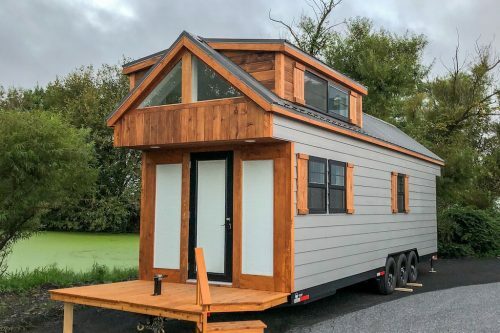 People should plan to spend for this tiny house. The only changes I would make is a good hand rail for the stairs and a flushing toilet. I would have a tv that swings down to watch on the couch and a coffee table that converts into a table for eating. It would then be perfect. Excellent the House, it is So magnifique !!!!! I love it a lot !!!!!! Completely love this !! One nagging question… WHAT is the telephone-pole looking piece all about by the loft railing?!? Really wonderful design–excellent use of space. I have only one suggestion. The top step of the staircase looks to be a bit of a distance from the loft level. A short person, or a person whose mobility is limited, for example by arthritis, might have trouble getting from the step to the loft; children might have difficulty as well. I agree, Peggy; the stairs would be a no-go for me. I would sleep downstairs – that looks like a daybed down there. 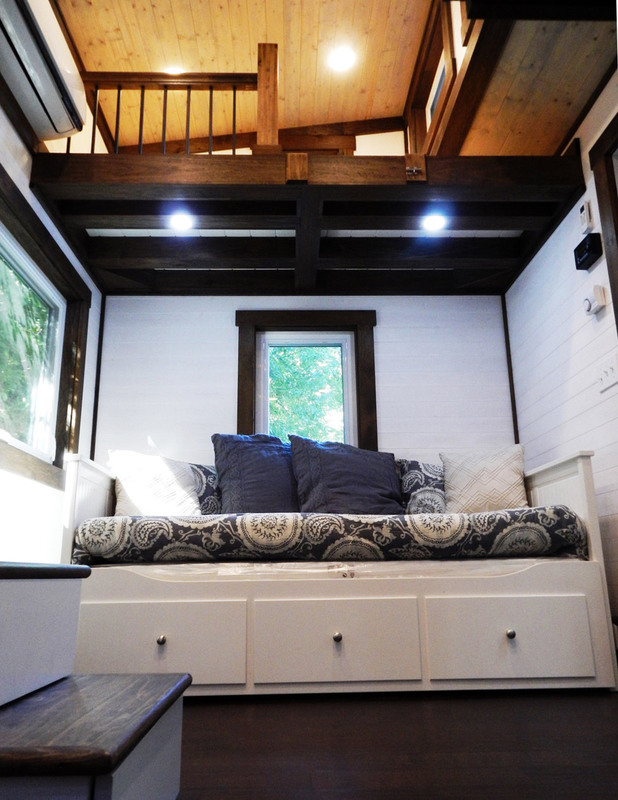 I’ve always wondered why seating doesn’t double as the bed in these tiny houses. When I had a tiny apartment, my bed was a daybed and doubled as the couch. 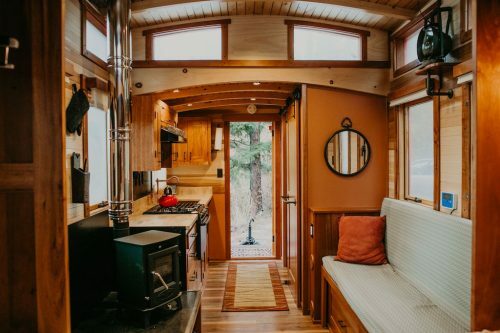 I love this tiny home I hope one day to live in one. 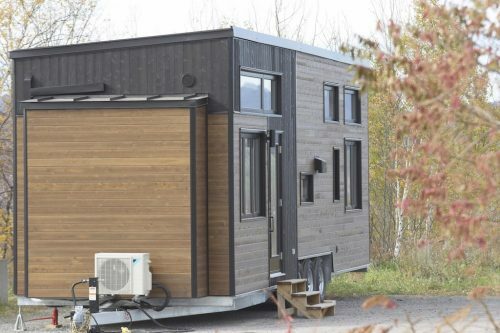 probably the nicest design ive seen in a tiny house, looks like a beautiful high end build , was wondering the cost of this particular build and was there a way to avoid the large post in the kitchen, I understand needs for support , stability. That’s a really nice layout. I always wonder why nobody seems to want to put a hand rail on the stairs. My idea would be to use the ladder to the loft as a hand rail. Have some sort of system that it clips to the stairs. When you need to access the loft you just take it off. When you are finished in the loft, put it back on the stairs. Mike and crew have done a wonderful job on this #thow. This home was a breath-taker at the Jamboree. We all agreed it was the nicest model on display. Congratulations on your success THC! Love this house. The steps would be difficult at the top though. 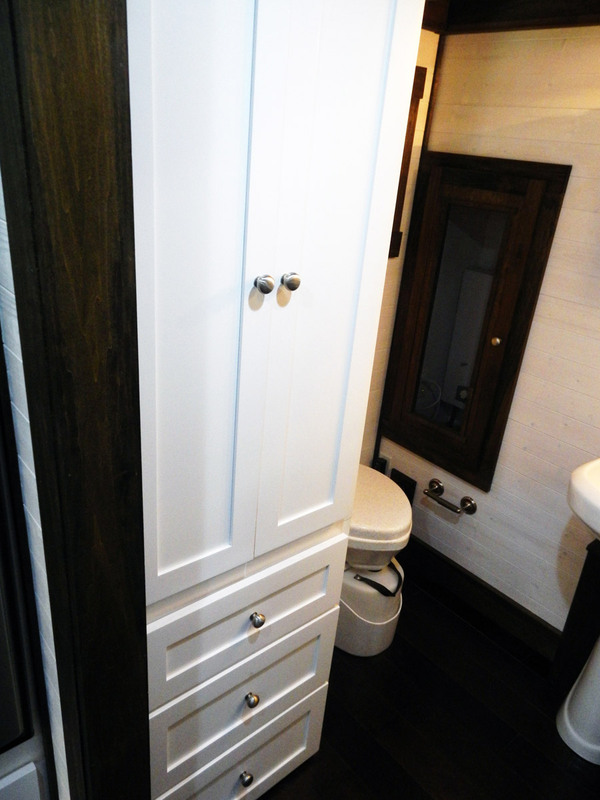 We are going to be downsizing once more before buying, but this is number two on the list! Beautiful finishing touches! 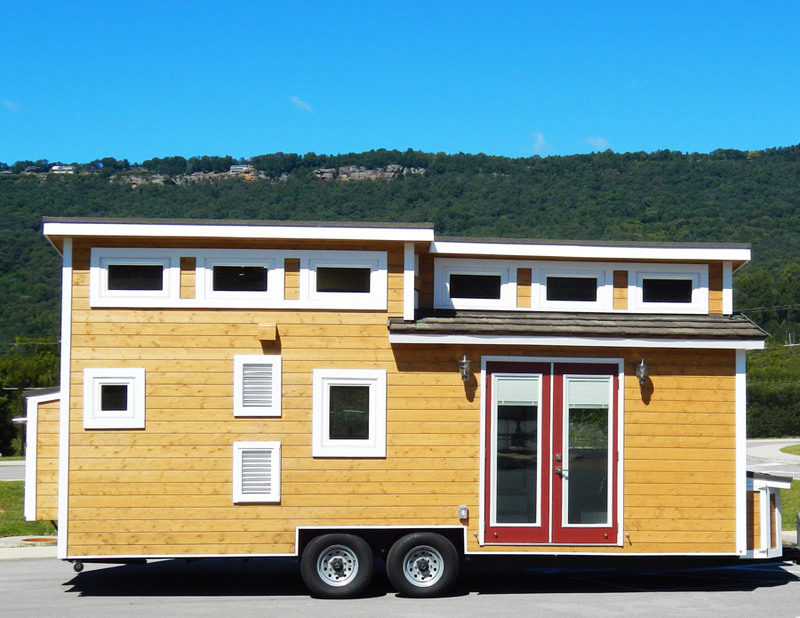 Since your home is mobile, I am curious to know what its weight is being that it’s on a two axle trailer. 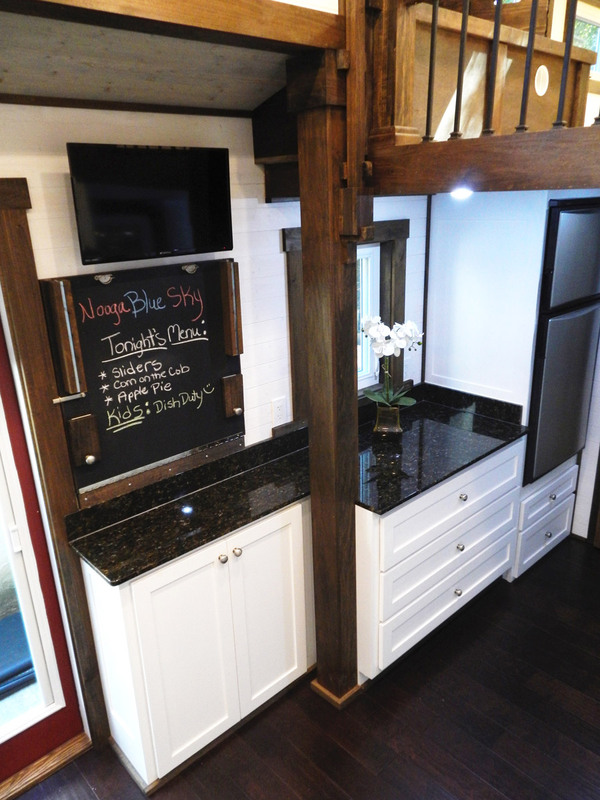 I am currently building a 150 ft. home on a two axle 20 foot long (10K lb. capacity) trailer which seems to be similar to yours in design. My intent is to modify the original design to have the dormers extend the full length of the house instead of just the sleep space. My concern is that I don’t want to exceed the trailer capacity (10K lbs.) with my “lofty” design modifications. Thanks for any feedback you’re willing to offer.